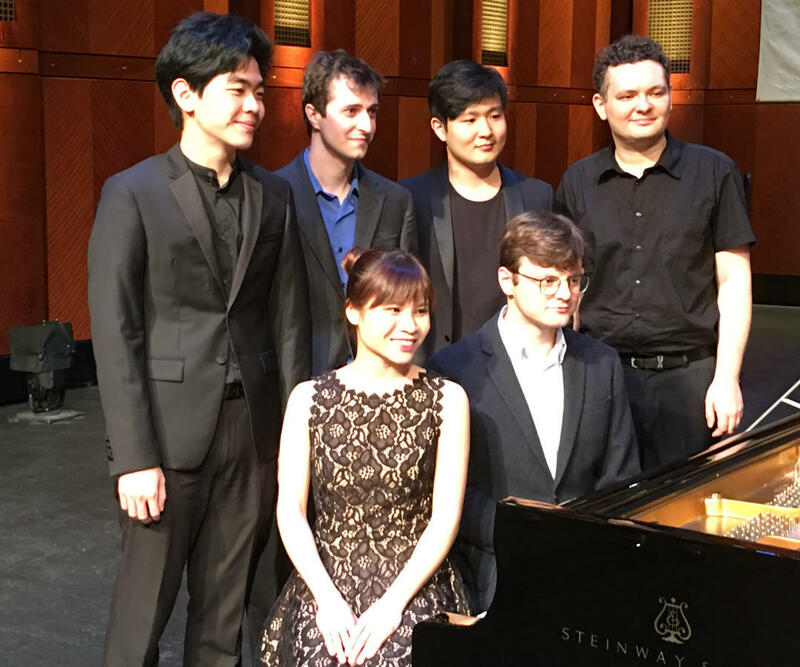 The finalists of the 15th Van Cliburn International Piano Competition are (Back row; left to right) Daniel Hsu, Kenneth Broberg, Yekwoon Sunwoo, Yuri Favorin, and seated, Rachel Cheung and Georgy Tchaidze. Six finalists have been named in the 15th Van Cliburn International Piano Competition. For the first time since 1981, two finalists are from the United States: 23-year-old Kenneth Broberg and 19-year-old Daniel Hsu. Broberg, who's studied in Houston, chose music written by an American master on his way to the finals. “I played Barber’s sonata, and I think it’s the greatest American piano piece,” he said. Broberg, Hsu and the other four finalists will each play a quintet and also large piano concerto with the Fort Worth Symphony Orchestra. The other finalists include Yuri Favorin and Georgy Tchaidze from Russia, Yekwon Sunwoo from South Korea, and Rachel Cheung, the only female finalist, from Hong Kong. The competition ends Saturday when awards are announced. At this year’s San Antonio International Piano Competition, the five finalists were able to choose the repertoire they felt would best showcase their talents, but there was one piece they *had* to play, by Matthew Mason. The video at the bottom of this page now links to the final round of competition.